Enhance your Reiki practice with Celtic Reiki! 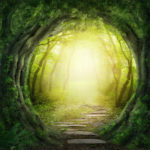 Celtic Reiki is a form of holistic therapy that helps connect you to the natural world around you. In the same way as a stroll through a forest, or a day at the beach can refresh, relax, and invigorate, Celtic Reiki philosophy recognizes that by reconnecting to the Earth we can improve our health and sense of well-being. Life, especially in large towns or cities, can disconnect us from nature. We feel separate or distinct from the world and the cycles of life. Many of the innate sensory and perceptive skills we possess have become atrophied, whilst our species has become very disrespectful of home, ourselves, and the very things we need to survive, such as air, water, and a stable environment. By shifting our perspective to one more akin with Reiki, we experience the subtle, yet extraordinary wisdom and power of this life-force. Celtic Reiki practice uses this expanded awareness to shift us towards the natural world. The Celtic Reiki method was pioneered by Martyn Pentecost, a British therapist and personal development mentor. Initially taking the approach of forming a synthesis between Reiki practice and Celtic philosophy, the system used 18 original essences (the vibrations of trees) and a handful of methods derived from Usui Reiki practice. In this class, we will work with the first nine Ogham symbols and their trees: Silver fir, Birch, Hawthorn, Beech, Aspen, Heather, Gorse, Broom, and Alder. Each participant will have opportunities to increase intuition and therefore their capacity to work with these healing energies, both for ourselves and others. Each participant will receive an attunement to Level 1 of Celtic Reiki. Pre-requisite is attunement to Usui Reiki levels 1 & 2. We will not be taking time to review the Usui system of Reiki. Class will be held at Radiance, 9 W Grant St., in the heart of downtown Lancaster, PA. Call 717-290-1517, or stop in to register. Cost is $90 in advance, $100 on the day of the class if there is space available. Bring water to drink, and your journal. Please eat lunch before coming to class. There will be a snack break, but not a lunch break. Dress in layers, and for comfort. You might even consider bringing slippers!